In 2018, Minnesota Orchestra’s Sommerfest was designed to prepare the orchestra for its major tour to South Africa. Announced Friday, plans for the 2019 festival boast an exciting Latin flavor. Might a tour to South America be in the orchestra’s future? It’s a tantalizing possibility, prompted by the rich variety of music in store. Sommerfest 2019 opens with an exciting program for young and old: the world premiere of the live orchestra version of Disney-Pixar’s 2017 movie “Coco,” led by Live at Orchestra Hall conductor Sarah Hicks (July 6-7). The four-week festival’s blue ribbon event is the orchestra’s first performances of “La Pasión según San Marcos (The Passion According to St. Mark)” by Argentine composer Osvaldo Golijov. Scored for a choir, eight soloists and orchestra — with a battery of percussion instruments — the work’s 2000 premiere was hailed by the Boston Globe as “the first indisputably great composition of the 21st century.” Venezuelan conductor María Guinand leads two performances of “La Pasión” Aug. 2 and 3, with stage direction by Ten Thousand Things Theater Artistic Director Marcela Lorca. Other concert highlights include Minnesota Orchestra Music Director Osmo Vänskä leading a colorful concert of music by Brazilian, Argentine, Mexican and Peruvian composers, including Villa-Lobos’ “Bachianas Brasileiras” No. 5 and Ginastera’s “Variaciones” concertantes (July 12). 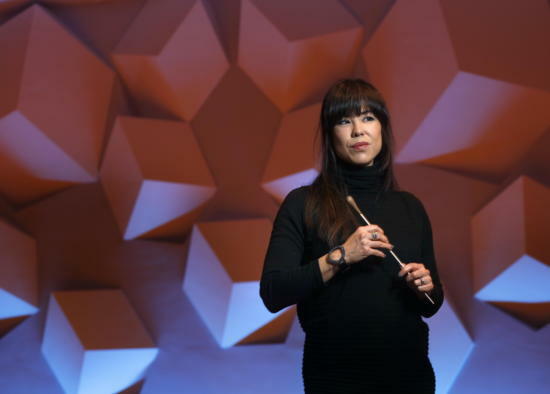 And “The Prodigious Life of Clara S.” (July 27) is an innovative musical drama created by the Moving Company, with help from Minnesota Orchestra violist Sam Bergman. With Hicks back on the podium, the new work examines the relationship between 19th-century musician Clara Schumann, her husband Robert and his fellow composer Johannes Brahms. Minnesota Orchestra subscribers can purchase tickets for all Sommerfest programs beginning March 29. For everyone else, tickets are available April 12 via 612-371-5656 or minnesotaorchestra.org.